This year’s Club Championship tournament was well attending and one of the most exciting editions yet! 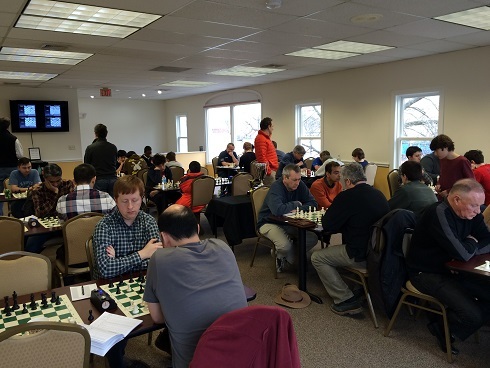 11 masters and 7 experts participated in the open section of 29 players. 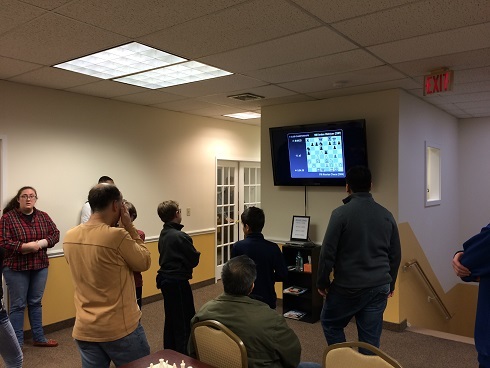 With many strong players of all levels participating, there was no shortage of drama, from early upsets, to nail biting time scrambles, to a blitz playoff to determine whose name would be placed immortally on the championship cup. The U1800 section had a very suspenseful finish. Avery Hood led from the start winning all of his games. Kenneth Young was the only player able to keep pace with the youngster and the two faced off in the final round. Being a half point behind, Young found himself in a must win situation if he wanted a chance at the $100 first place prize. 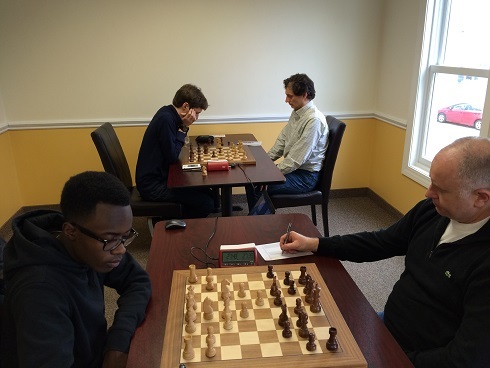 In the end the victory went to Kenneth Young whose nerves held out longer and gave him the sole tournament win. The upsets in the open section began in round 1 with CT State Champion NM Ian Harris falling to A-player Andrew Colwell and did not end there. Expert Ryan Young scored a draw against last year’s defending champion FM Leif Pressman in round 2 and round 3 saw tournament favorites FM Joshua Colas and IM Danny Edelman falter against NM Arslan Otchiyev and NM Yoon-Young Kim respectively. 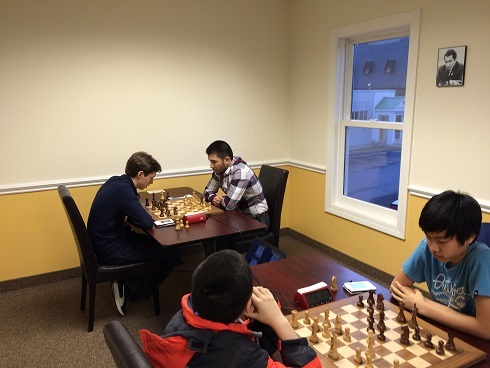 The final round came down to the first board battle between FM Nicolas Checa and NM Arslan Otchiyev who both had a perfect 3/3. However, neither player could afford a draw as NM Yoon-Young Kim playing on board 2 also had 3/3! All three players were in contention for a $100 bonus should they win their game. 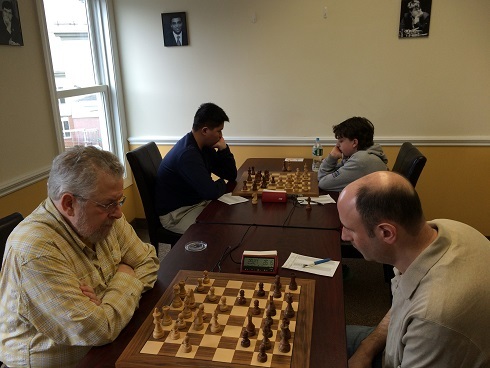 In the end, Kim was unable to keep up, losing in the final round to NM Brandon Jacobson and a draw was agreed between Checa and Otchiyev who finished tied for first with 3.5/4 each. A 5 minute blitz playoff ensued to determine who would take home the trophy. In a very evenly matched game, Checa managed to advance a pawn to the 7th rank, one square from victory, however, Otchiyev was able to blockade. In time trouble, Otchiyev faltered, missing a winning continuation and entering a losing ending which White swiftly converted. 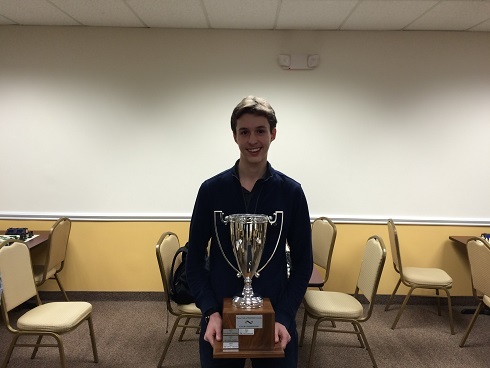 Congratulations to this year’s champion FM Nicolas Checa! Thank you to all of our participants and congratulations to all of our winners!